The 32 teams in the group stage of the 2017/2018 Champions League, scored a new total goals record of 293 midway through the Match Day 6 finale on Wednesday. The previous record of 292 was set during the 2000/2001 group stage. 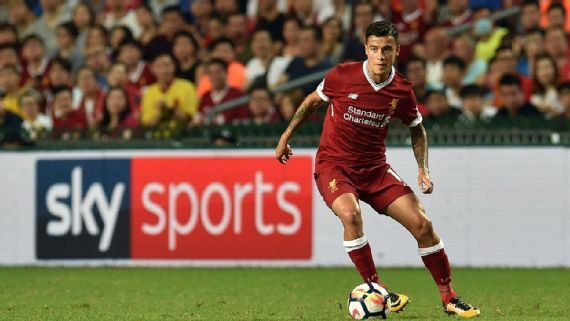 Philippe Coutinho’s hat-trick in Liverpool’s 7-0 demolition of Spartak Moscow was the record-breaker and the 16 teams in action on Wednesday, combined to raise the total tally to 306 at full time. Liverpool have now scored the most Champions League group-stage goals of any English team in history. They have surpassed Manchester United’s record set in 1999, when they won the Treble. Teams combined to come close to equalling that record in 2012/2013 with 284 and again in 2015/2016 with 280. Real Madrid’s Cristiano Ronaldo also set a record on Wednesday, when he became the first player to score a goal in all six of his team’s group-stage matches.